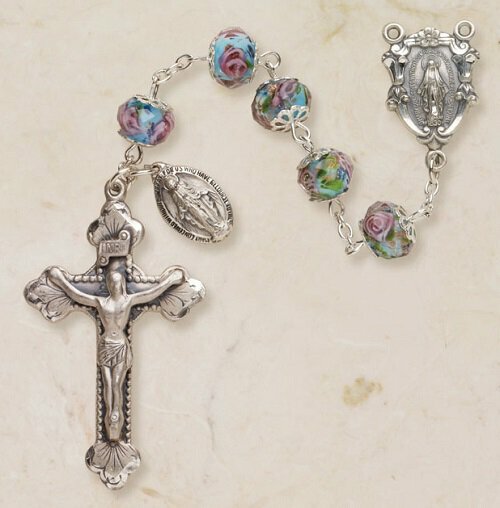 Our hand-painted rosaries are made with Italian crucifixes and centerpieces. Rosaries feature the lovely Italian Miraculous Medal dangle and are available in various colored 8 x 10mm beads. Each rosary is then presented in our signature Creed® Leatherette Gift Box.